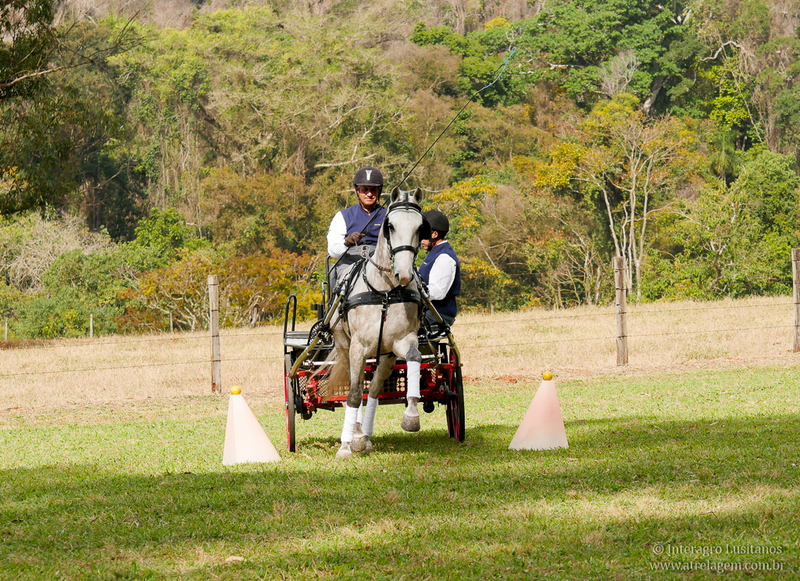 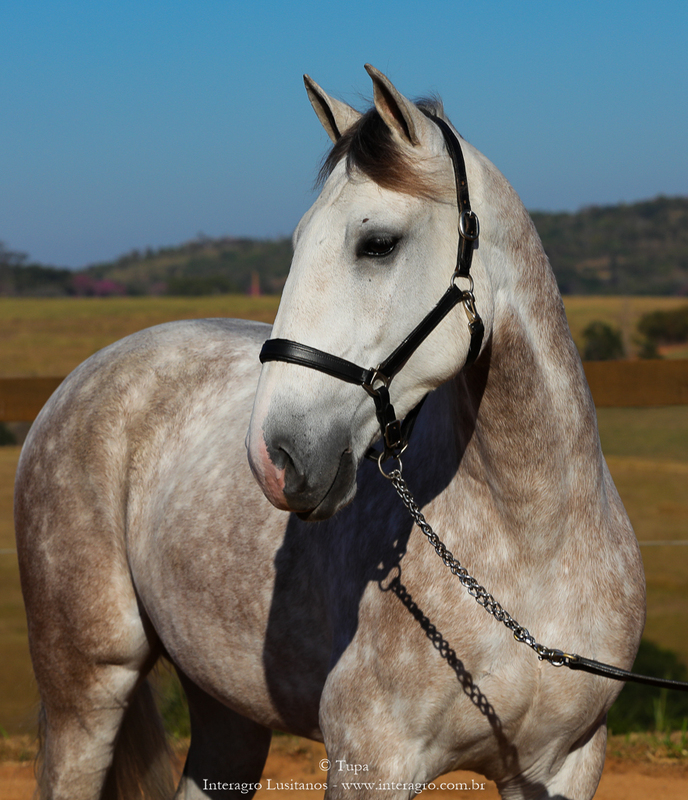 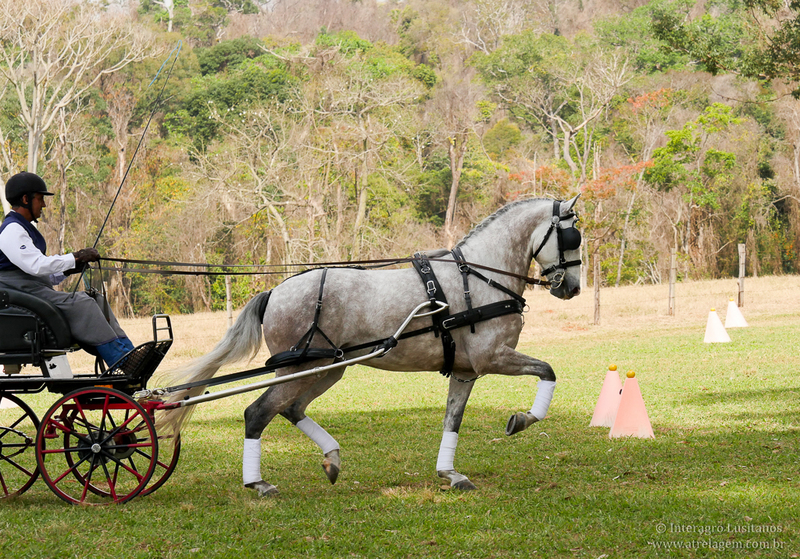 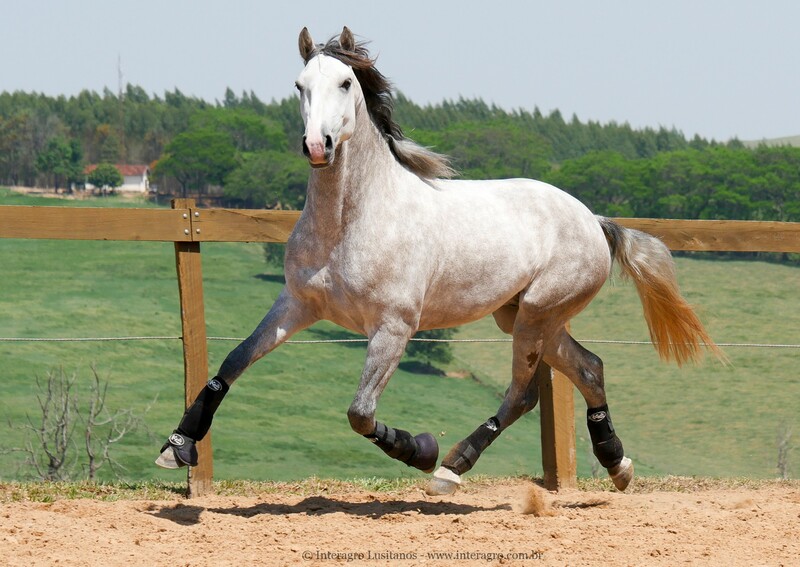 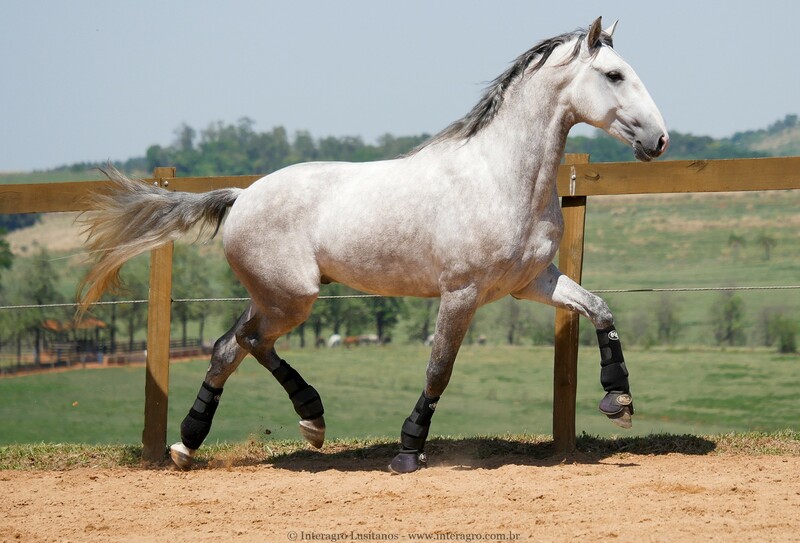 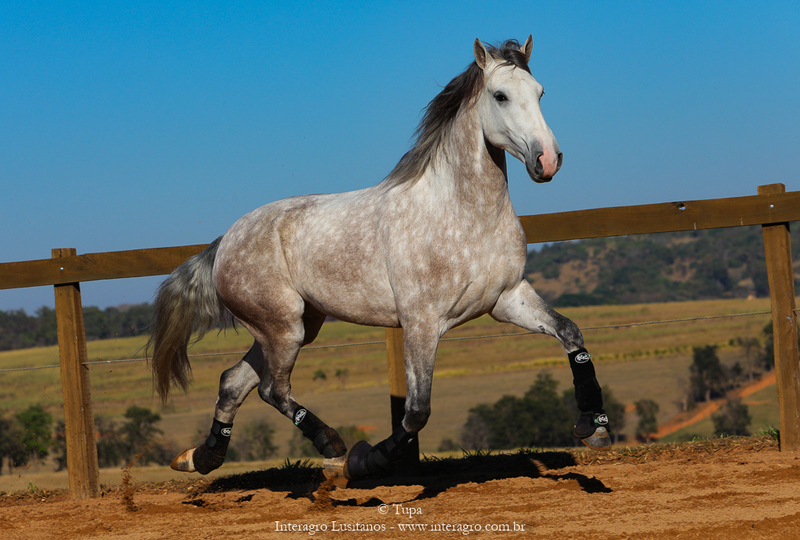 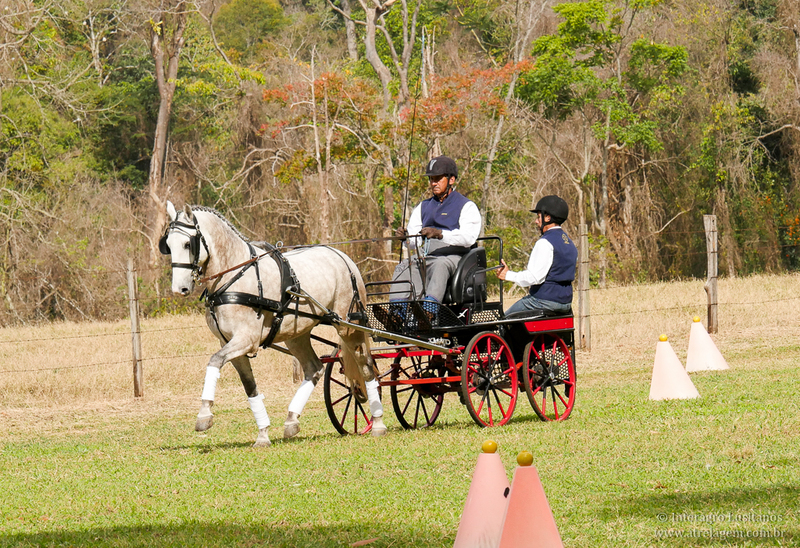 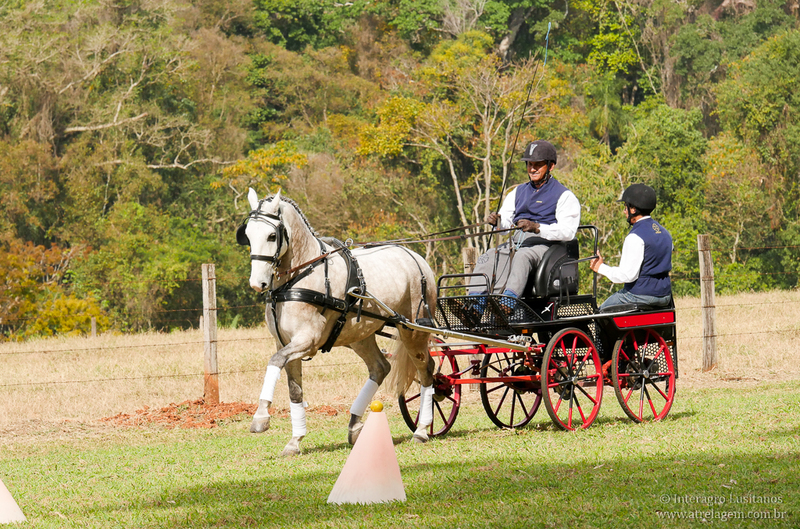 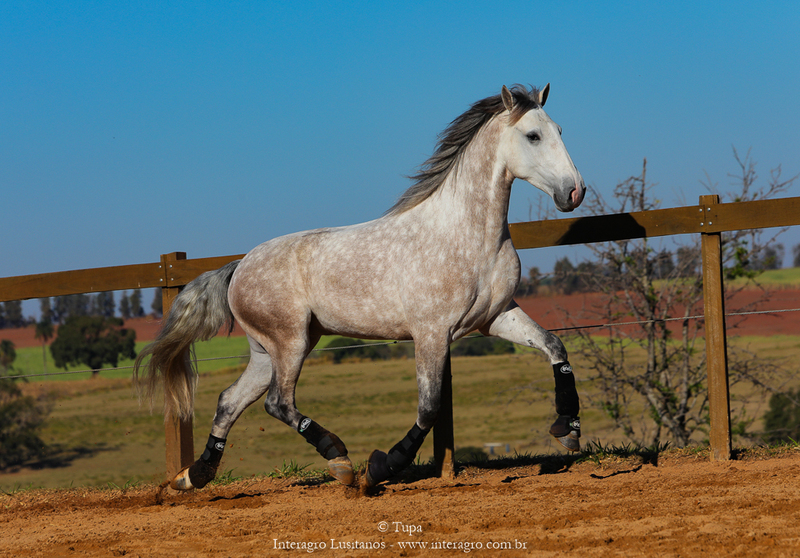 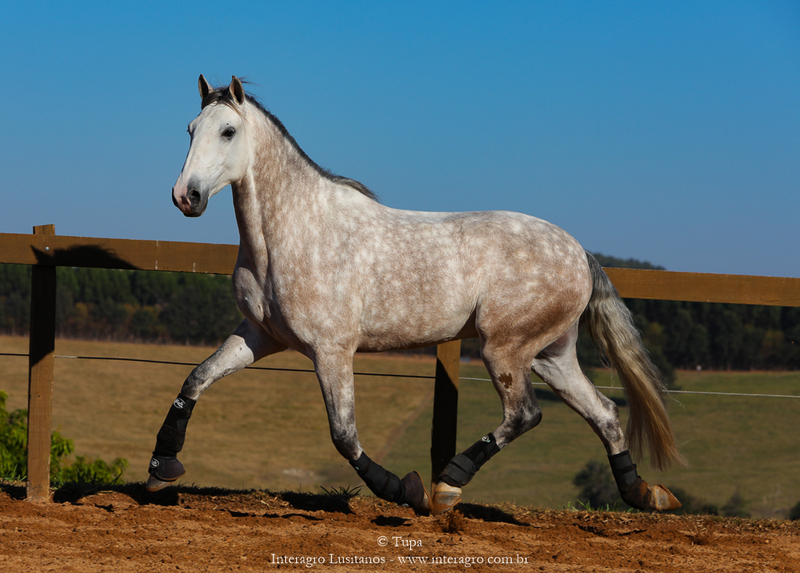 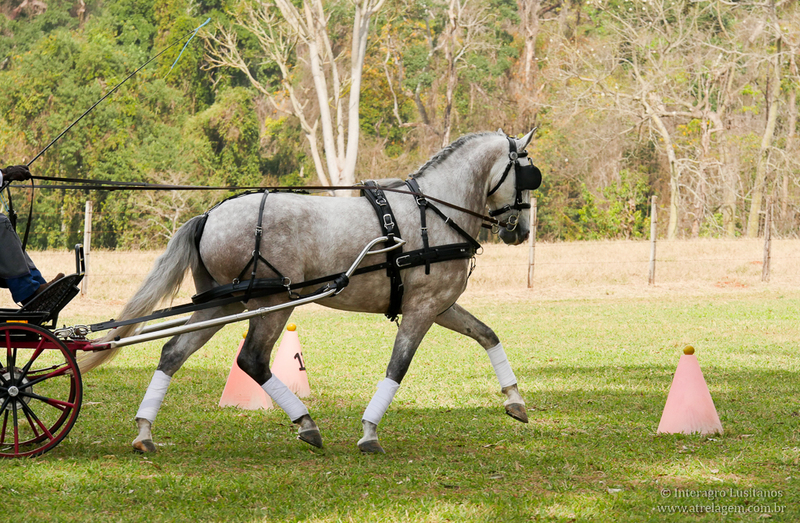 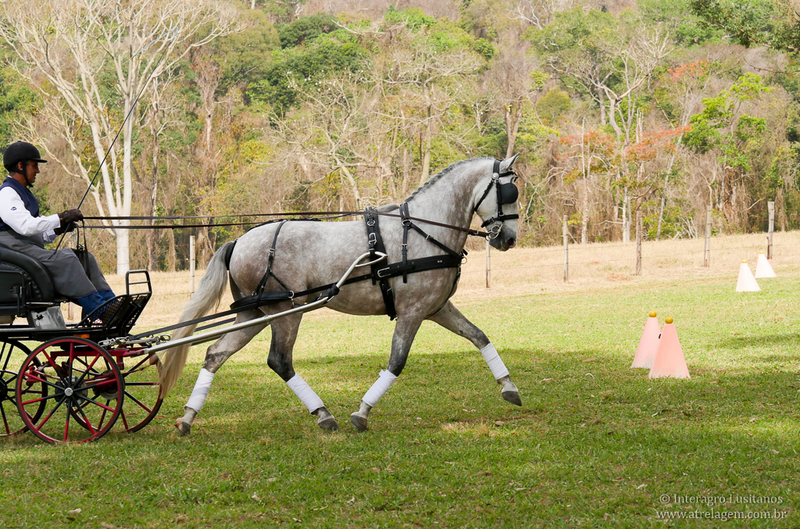 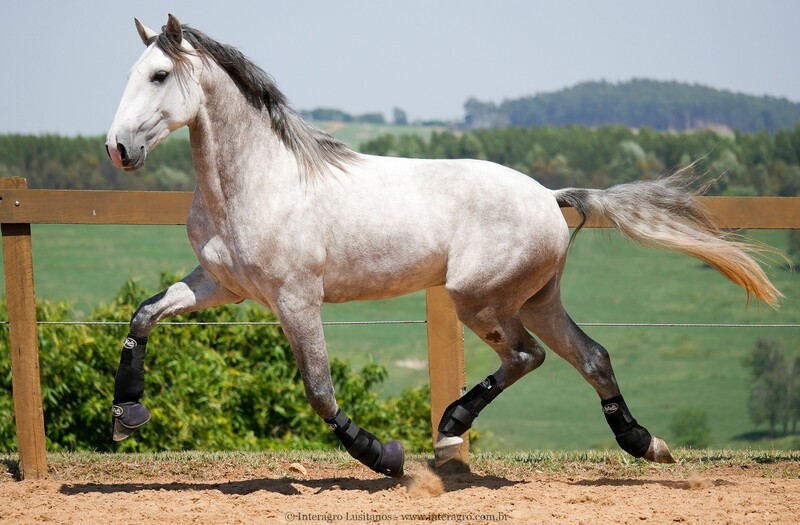 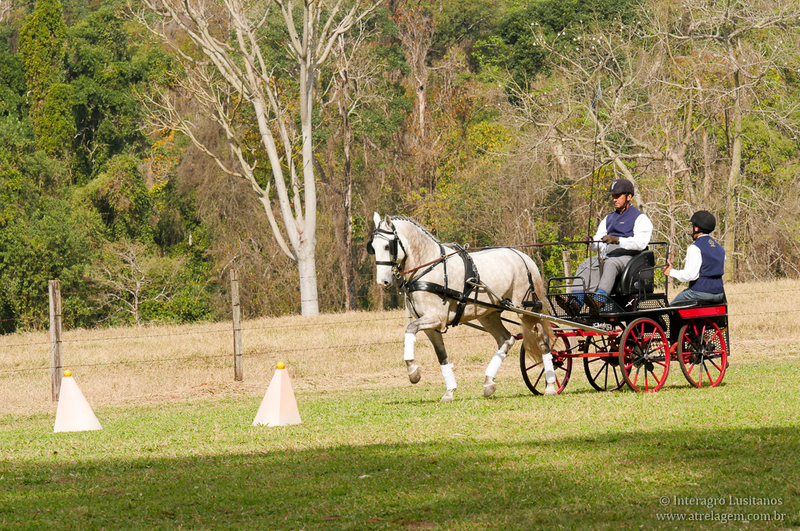 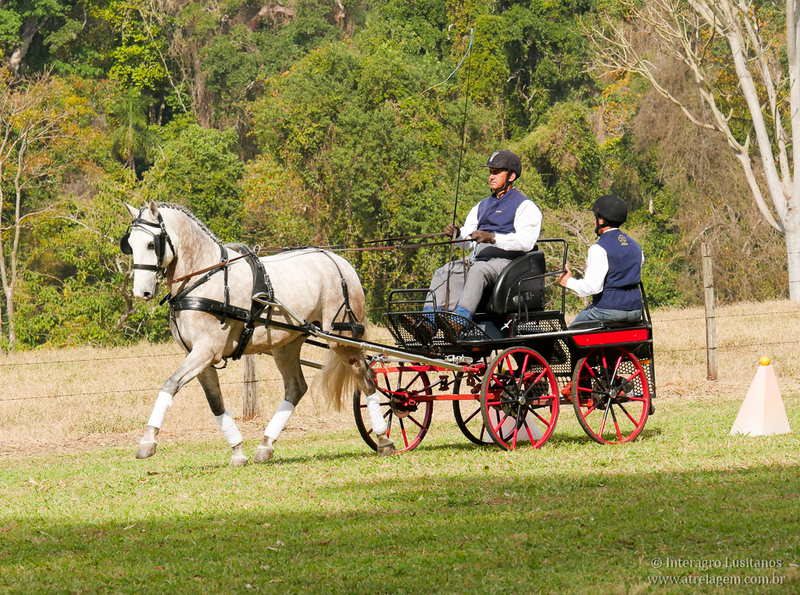 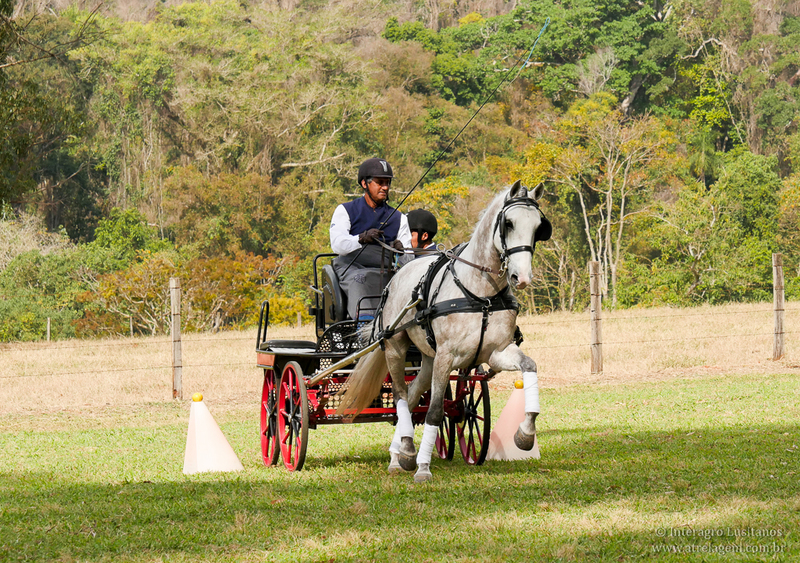 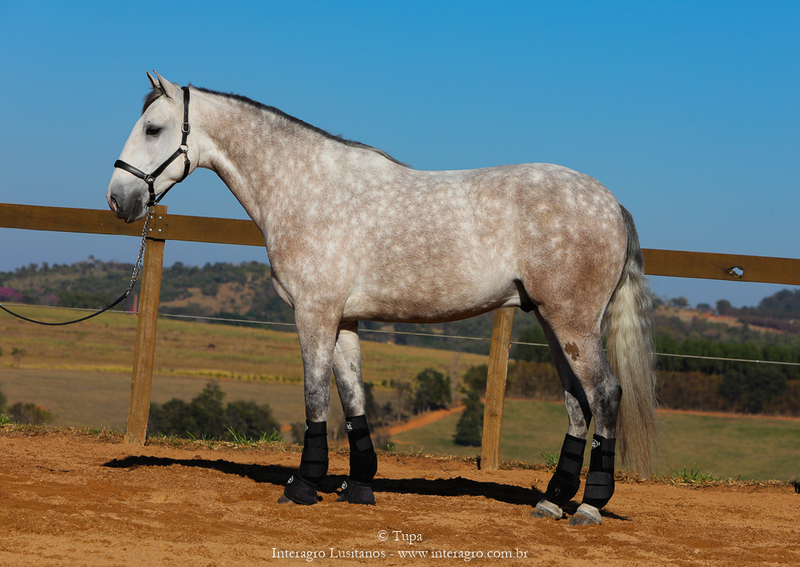 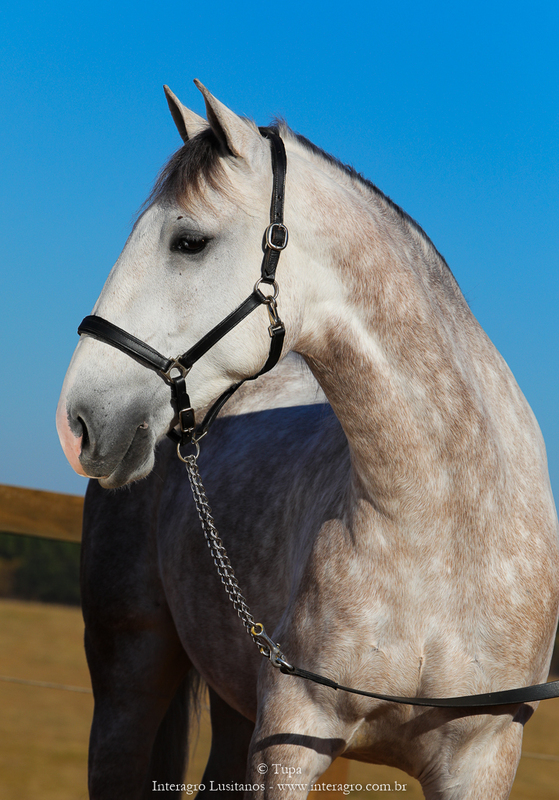 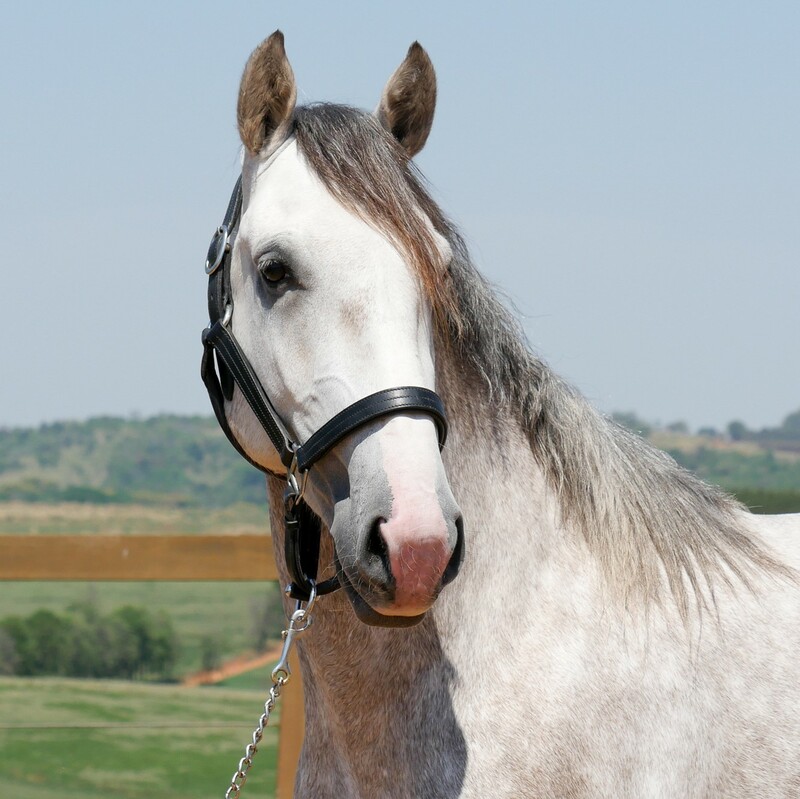 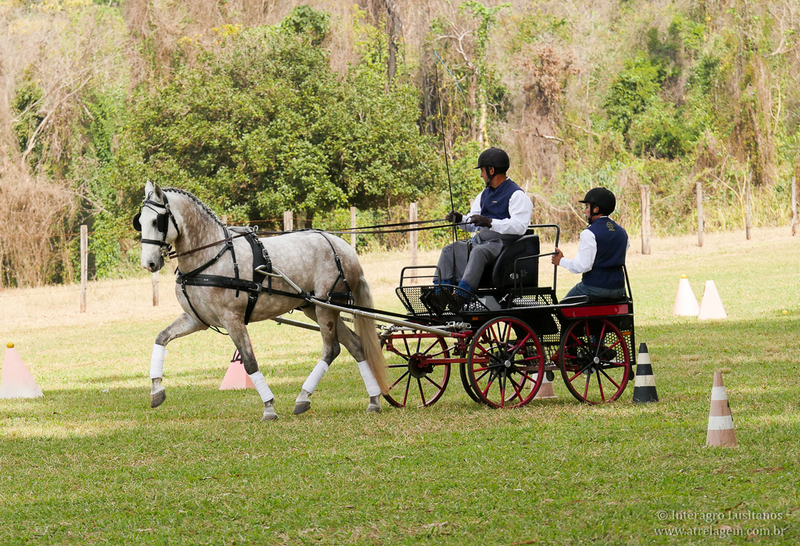 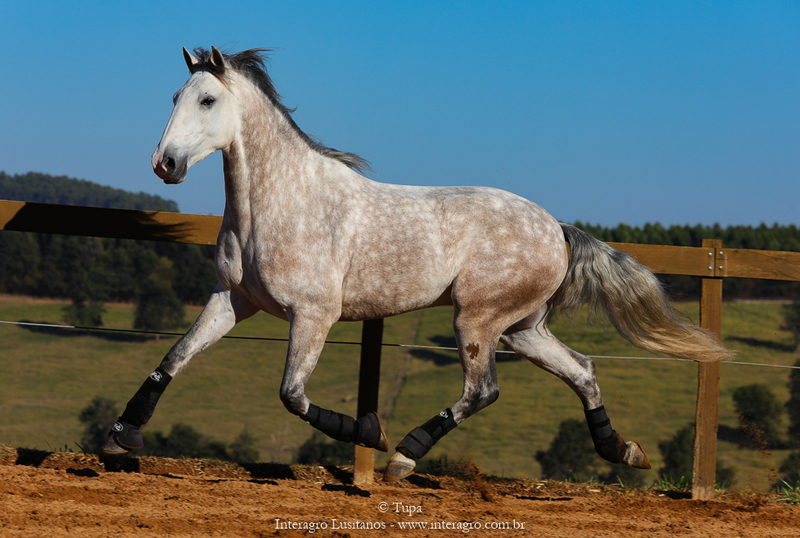 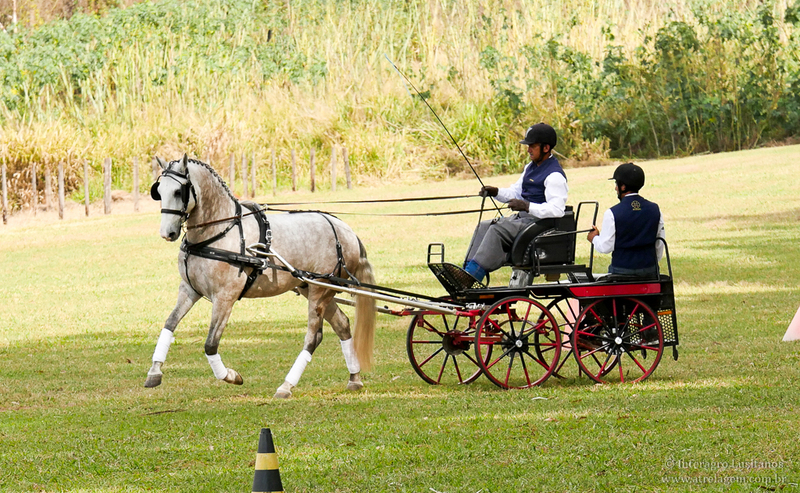 A typey and classically beautiful Lusitano, Lombrado has three very nice gaits with lots of impulsion. 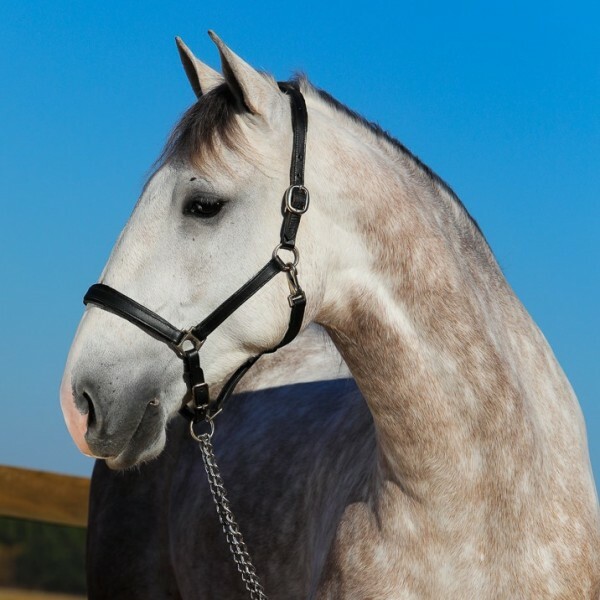 He was started under saddle in November 2017 and in harness in February 2018. 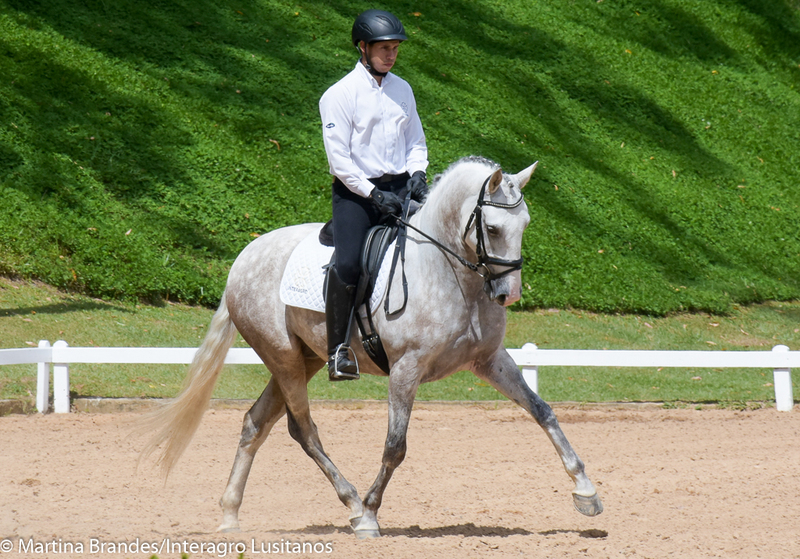 Lombardo is very supple, very willing to please the rider, confident and still sensitive to the aids, making him a partner best suited to experienced riders. 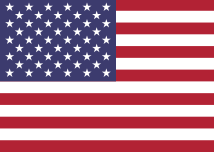 Radiographed in August of 2018. 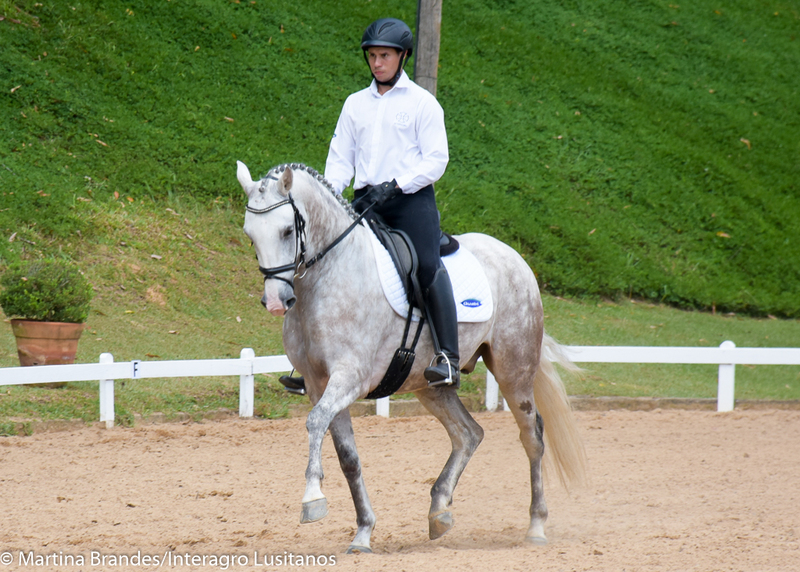 He is a son of Fortuna Interagro, a young broodmare revised with 73,50 points by Ofensor (MV) and out of Menina do Mirante. 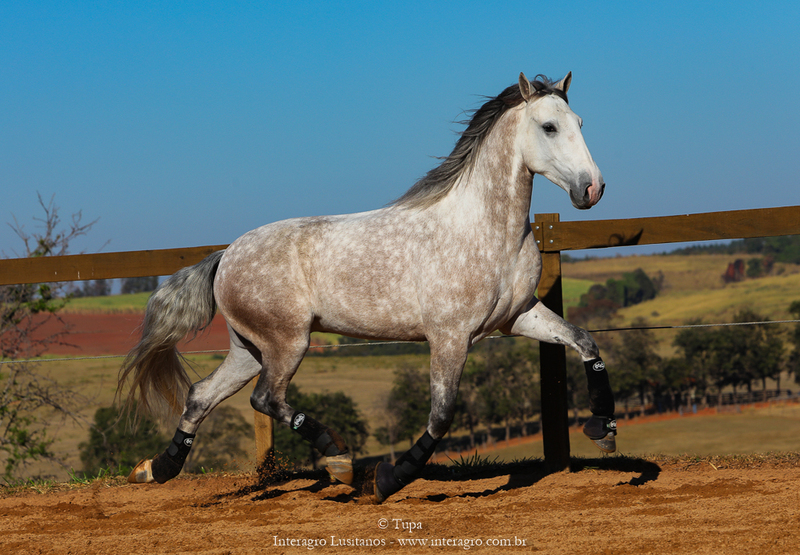 Fortuna is also the dam of Ministro Interagro, one of the record prices of 16th Interagro Yearlings Auction in 2016. 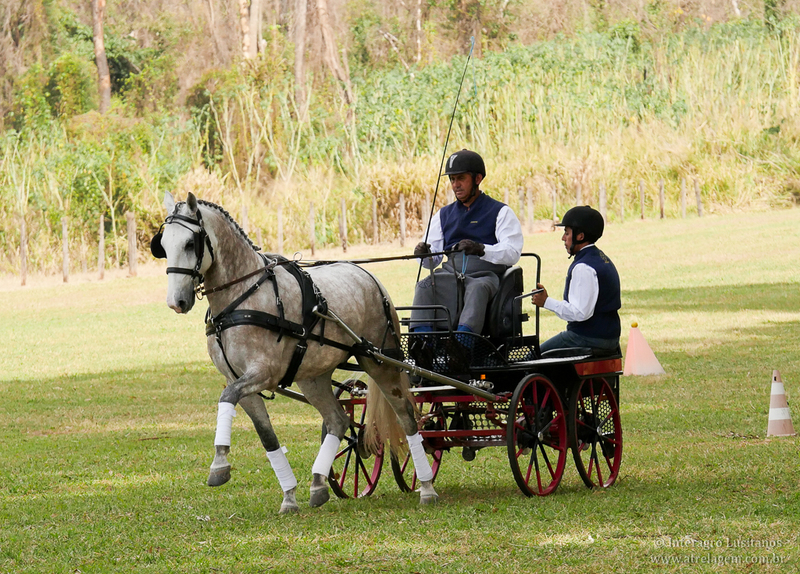 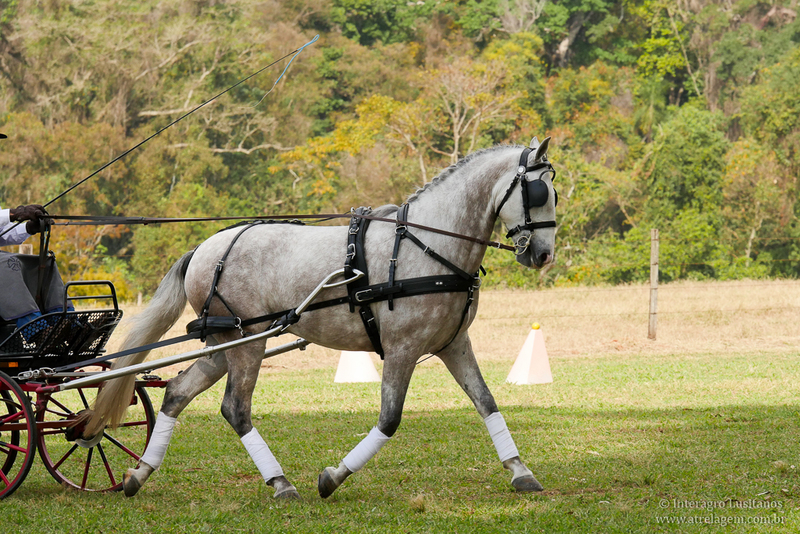 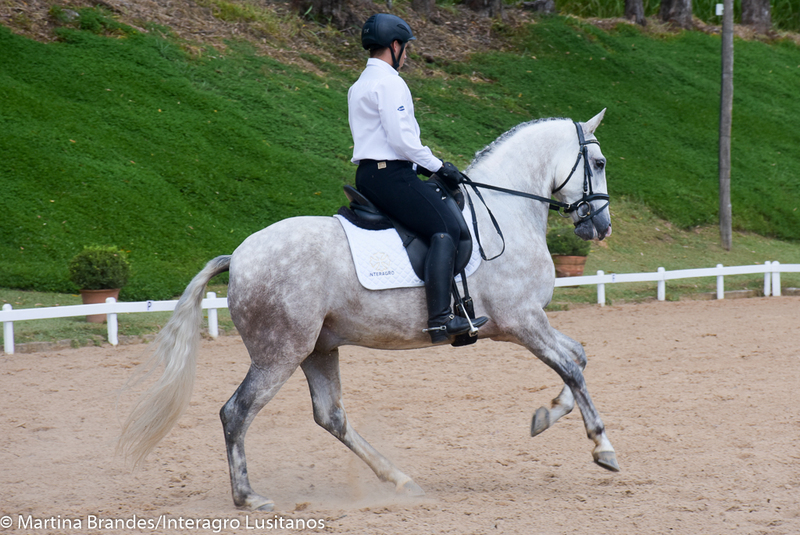 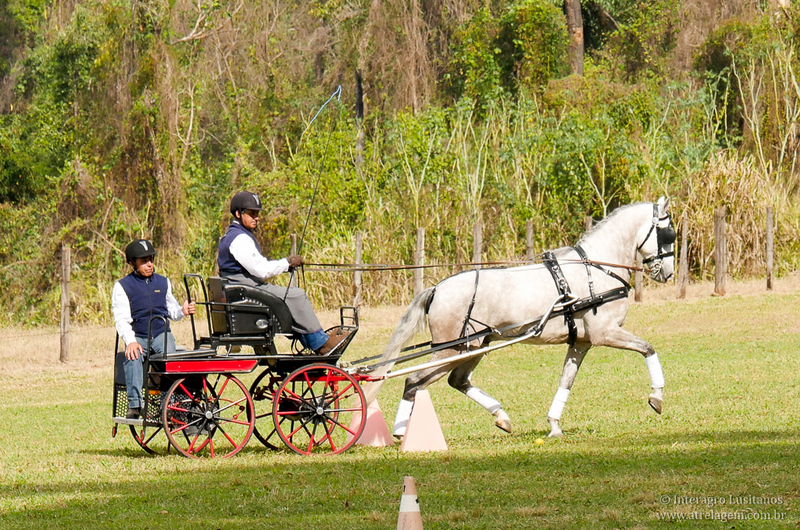 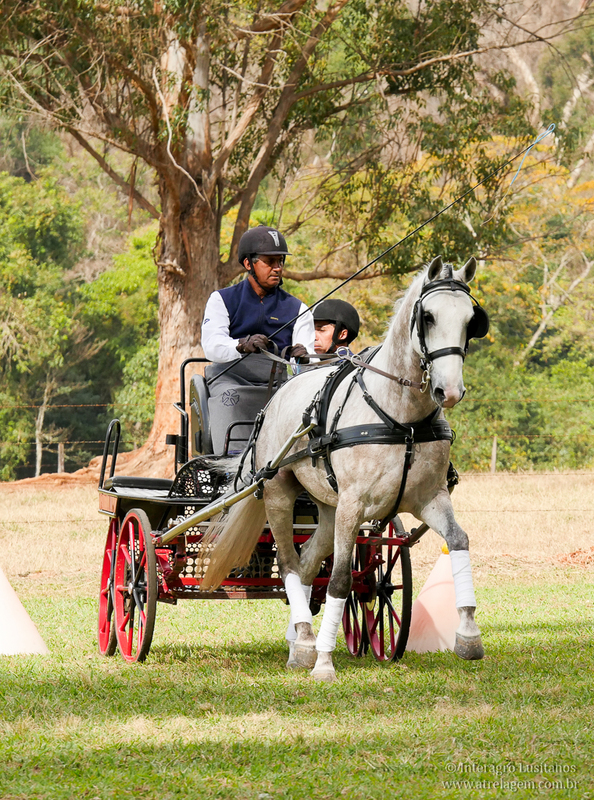 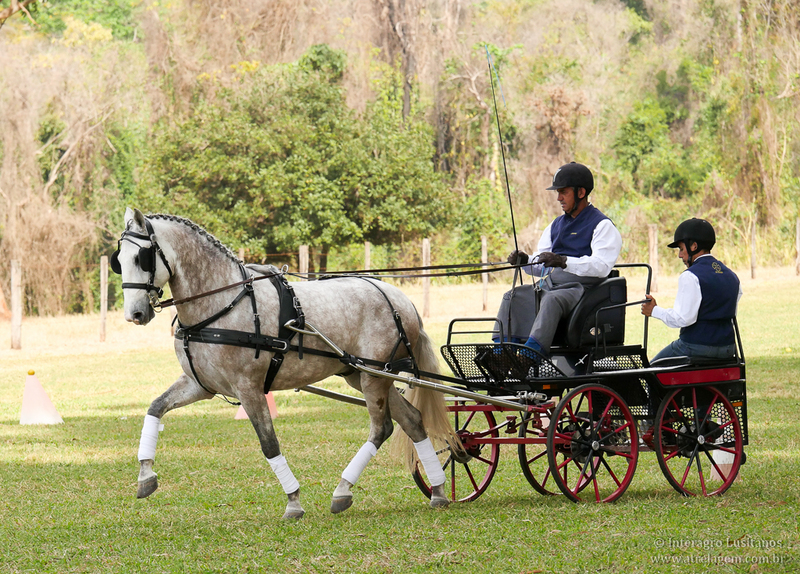 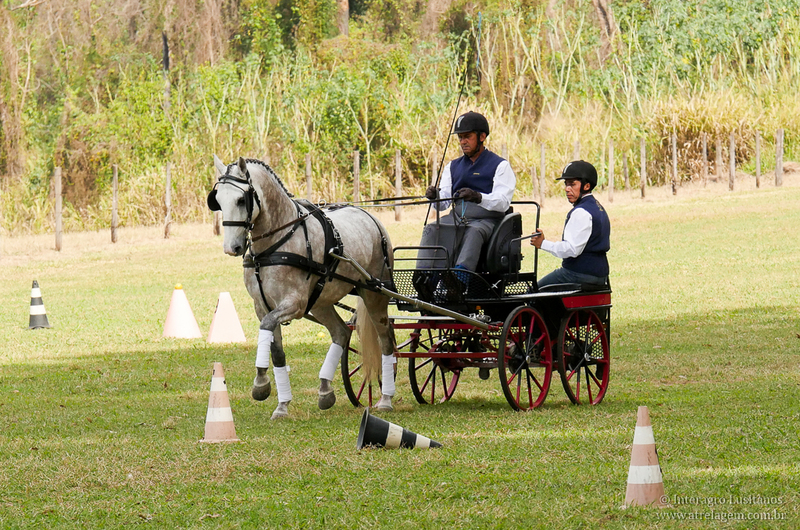 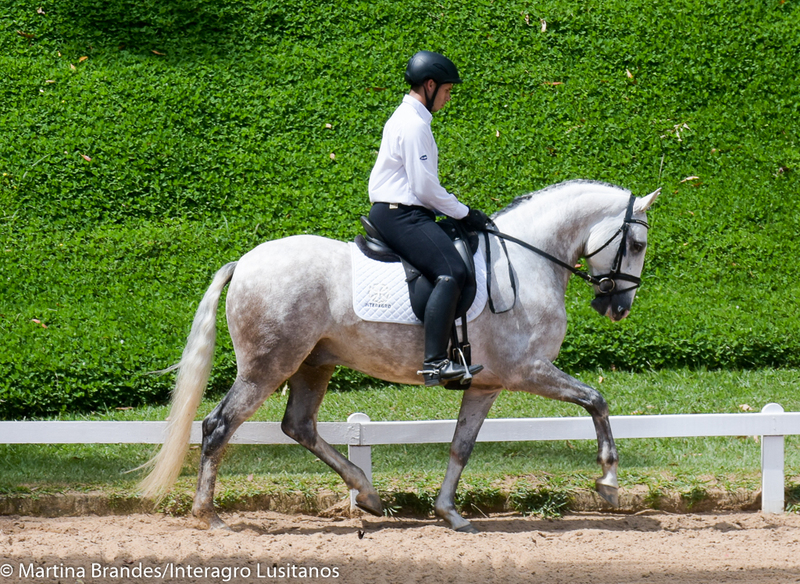 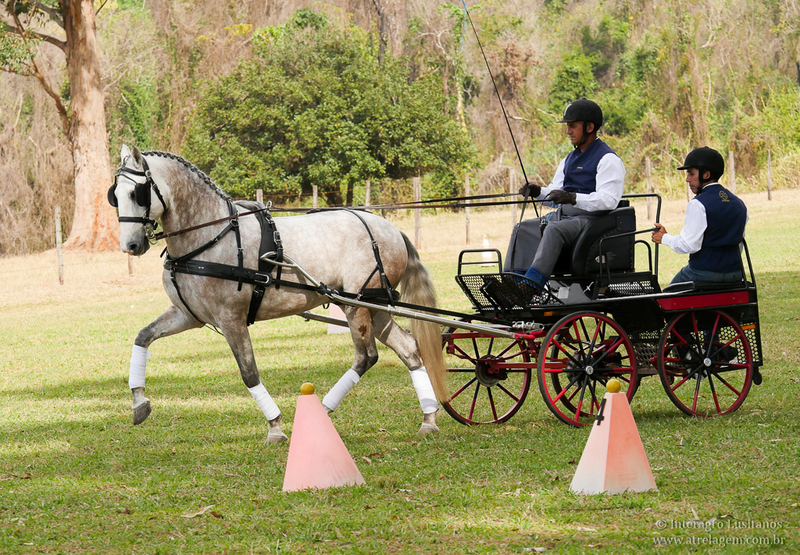 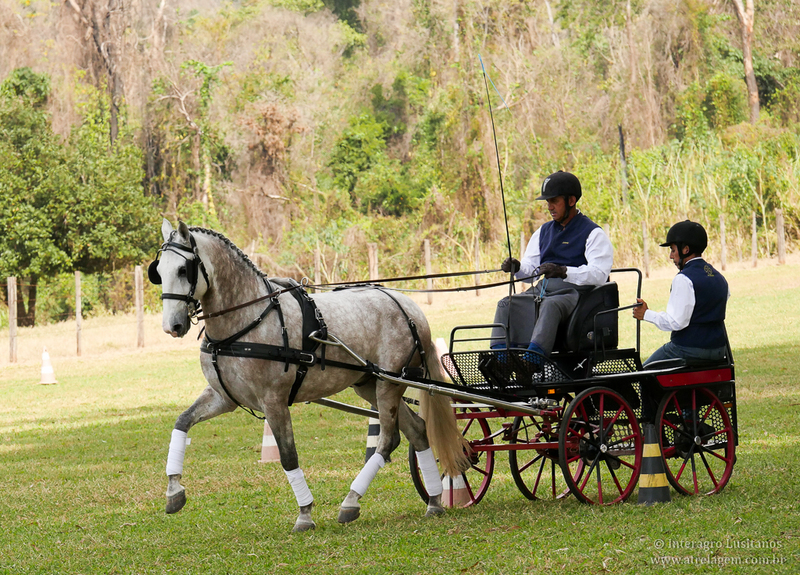 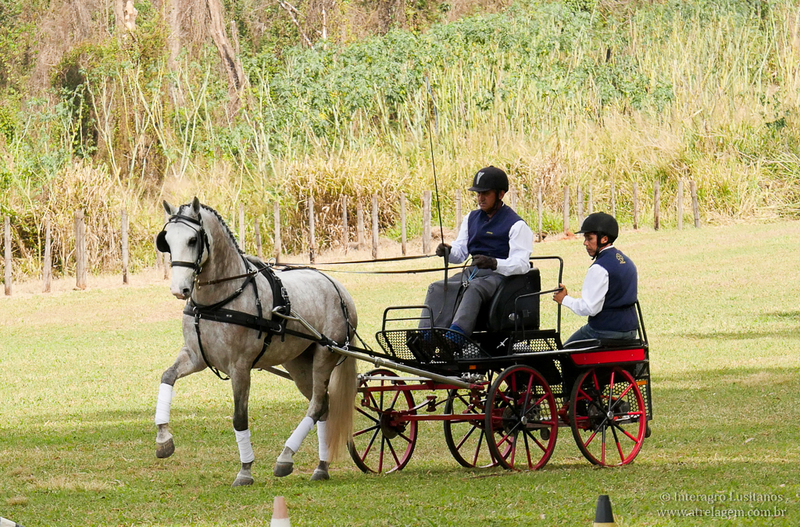 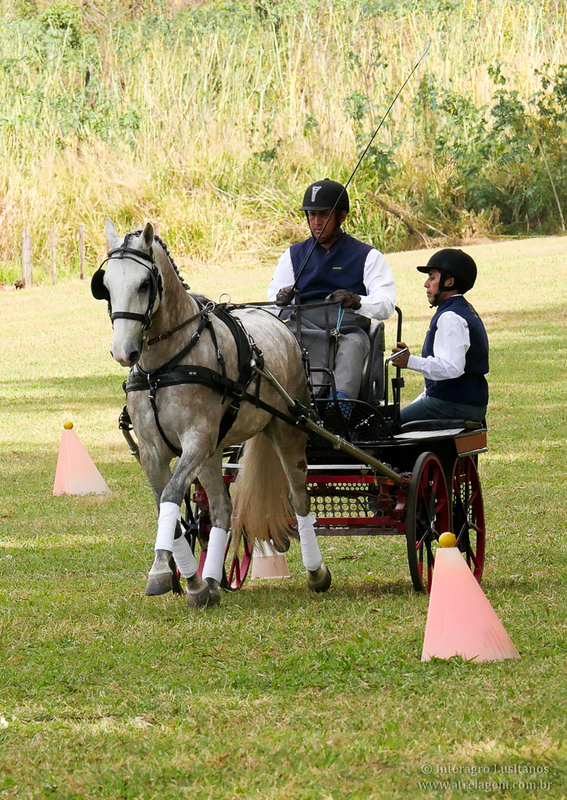 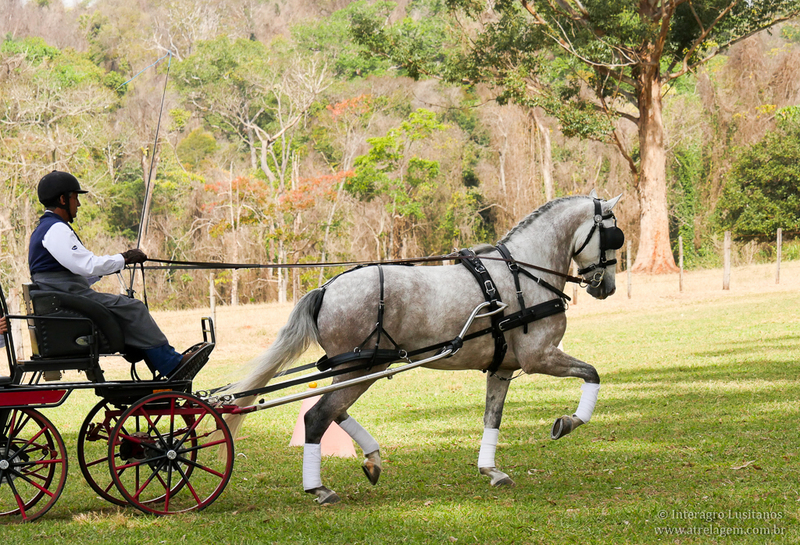 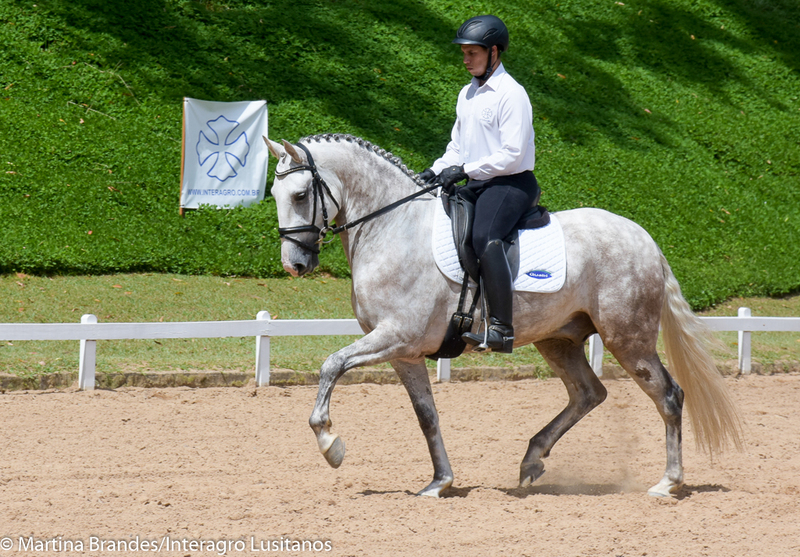 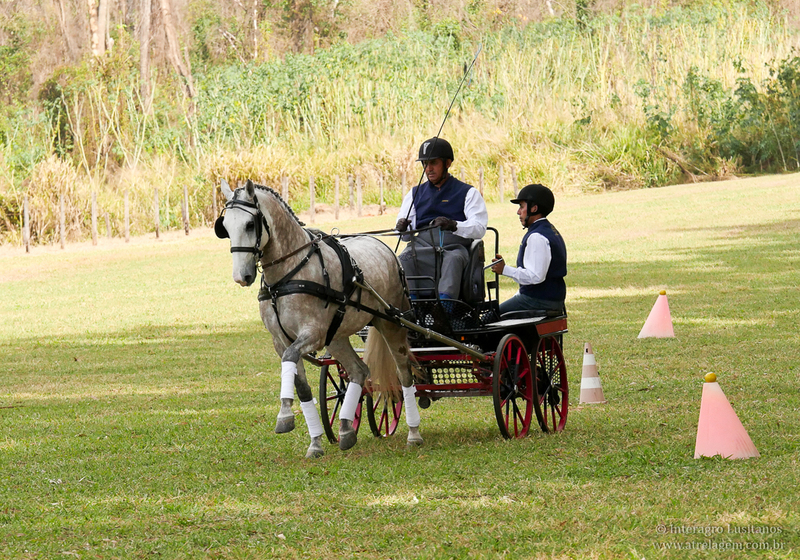 His sire is Destinado Interagro, a powerful and elegant grey stallion of exceptionally elastic and engaged gaits that have made him a prized dressage sire and competitor. 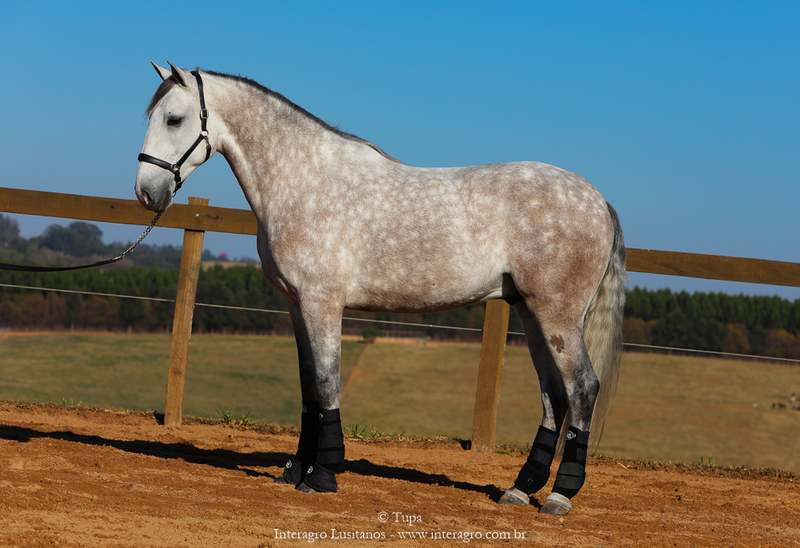 Destinado received 71 points at the stallion revision. 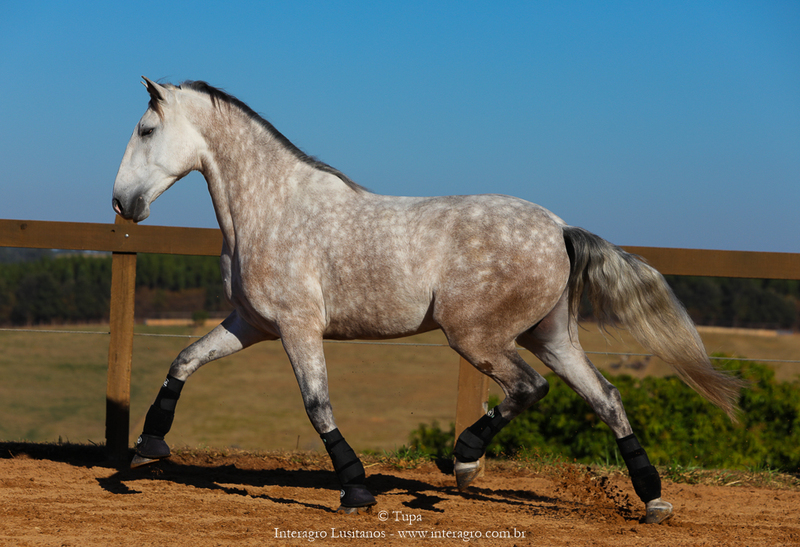 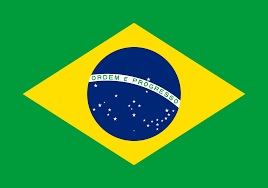 His dam, Morgada (MAC), was imported from the famous Coimbra Stud Farm in Portugal and is a daughter of Zebra (MAC) and Distinto (MAC), a Grand Champion in Lisbon who produced a large number of high quality offspring in Brazil and Portugal. 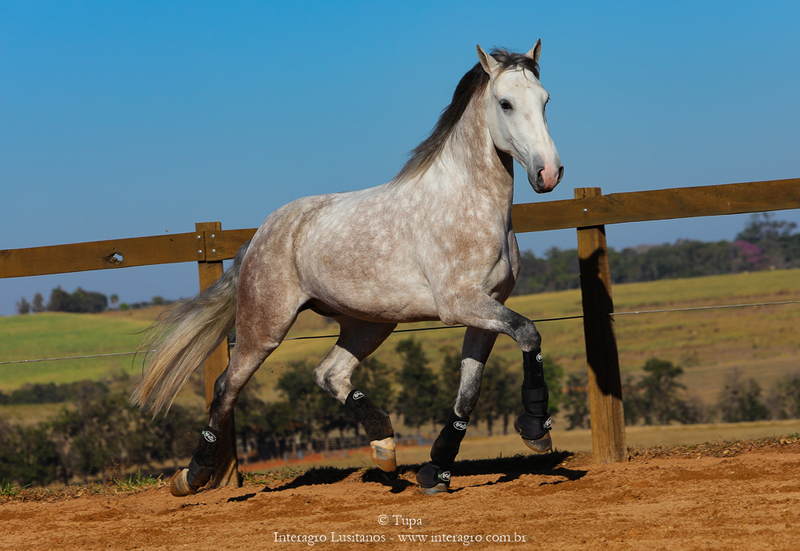 As a son of the remarkable Noblíssimo Interagro, Destinado has 7/8 Veiga blood and 1/8 Andrade, ¼ of which was inherited from his grandsire, the fabulous Xique-Xique (CI).